in 32 venues across Birmingham. 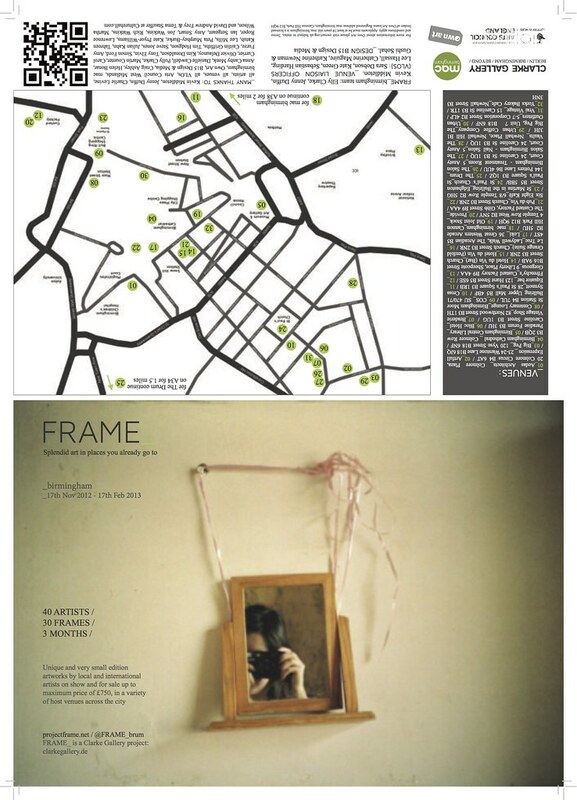 FRAME_birmingham was an Arts Council funded, mac birmingham & Own Art supported project by Elly Clarke that saw unique and very small edition artworks by local and international artists installed into a variety of businesses across the city as a means of bringing art to new audiences, new audiences to art and new contexts in which art can be shown. It was also about provoking and stimulating conversations about and around the artworks, by a variety of people in a variety of different places. Launching on 16th November 2012, the frames remained in place for three months, with work changing within them when sold. 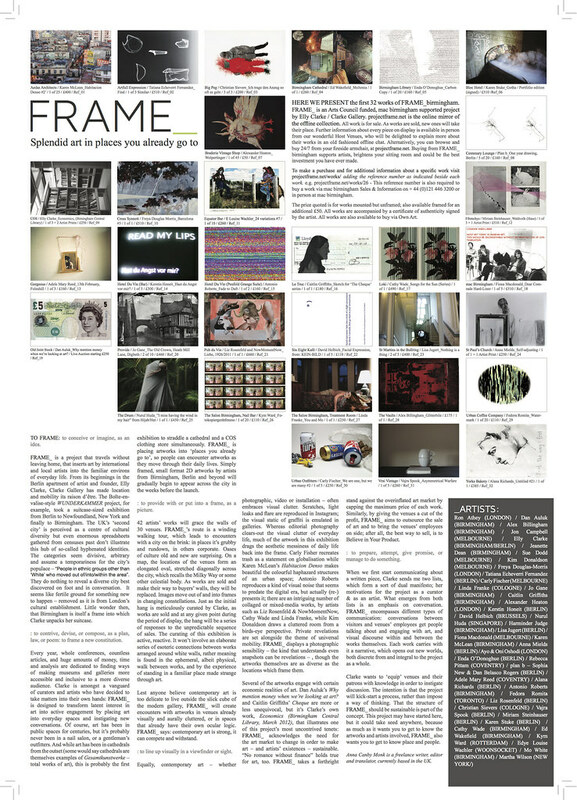 The projectframe.net website mirrored what was on display in the city and hosted further information about each work. All work was also for sale, up to a maximum selling price of £750. Read specially commissioned essay by Anna Canby Monk, published in the FRAME_guide and later on in This is Tomorrow here. Birmingham: Elly Clarke from Axisweb on Vimeo. We talk to Elly Clarke about moving beyond the confines of the white cube and her attempt to stimulate Birmingham's commercial art scene with her new project FRAME_.